Standard Freestanding Steel Hockey Goals. 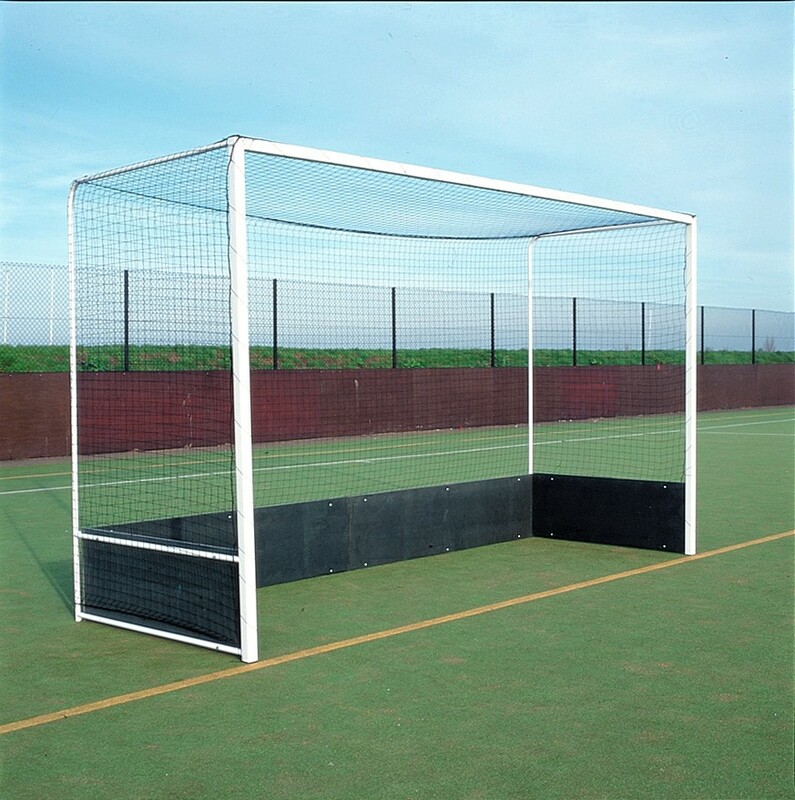 These goals are excellent freestanding goals for grass pitches and can be used on artificial pitches, usually with the addition of a set of suitable wheels. Uprights and crossbars are made from 50mm x 50mm x 2mm thick tubular steel powder coated white and are bolted onto a steel back frame. Regulation 457mm high timber backboards are supplied as standard.